Drinking wine is a shared endeavour, best enjoyed with company. The same goes for making wine which is, in the case of Domaine Boutinot Rhône, very much a shared activity best done with our neighbours. In this blog post, we discuss the benefits of teamwork in winemaking and speak to winemaker Julien Dugas about his working relationship with growers in the Southern Rhône Valley. In 1996, Ziggy Marley, the son of reggae legend and music icon, Bob Marley, wrote what went on to become the irritatingly catchy theme tune to hit children’s TV show, Arthur. One of the most memorable lines from the song is this: “Get together and make things better, by working together!”. Cute, right? A wholesome message and a perfect lesson for young ears: teamwork and collaboration are fundamentally good and through them, positive things can be achieved. Well, at our home in the Southern Rhône, Domaine Boutinot, the principle of collaboration is a key part of some of our most-loved wines, in particular Les Coteaux Côtes du Rhône Villages and Les Coteaux Schisteux Ségueret Côtes du Rhône Villages. As mentioned in our blog a couple of weeks ago, after dreaming of owning a winemaking home to call our own, we finally put down roots in Cairanne in 2010 when we established Domaine Boutinot Rhône. Far from being the new guys in town, this felt more like coming home; for the previous 30 years we’d been working with growers across the Southern Rhône during which we began to understand the lie of the land – who had exceptional terroir, who understood our quest for quality and shared our desire to make the very best wine possible. Over the years we developed strong relationships with these growers, allowing us to make wine from additional appellations and in greater quantities than would be possible from our owned vineyards in Cairanne. For us Domaine Boutinot is a project of passion, borne out of an ambition to produce the very top Southern Rhône wine that we love to drink and are proud to sell. It’s by working closely with our neighbours, as well as our own high-quality viticulture and vinification in Cairanne, that we’re able to achieve this. Making wine better, by working together. Cheers, Ziggy! Côtes du Rhône Villages can sometimes be an afterthought after making a Cru or single named Village wine – not so ‘Les Coteaux’. Grenache Noir and Syrah is expressly sourced from some of the best village vineyards within the Côtes du Rhône Villages. ‘Les Coteaux’ is mostly unoaked; with a fifth of the blend elevated with Séguret and Cairanne, aged for 22 months in a nursery of barrels of varying age and size, to bring depth and subtle complex notes to this wine, which punches well above its weight. From the 2016 vintage, ‘Les Coteaux’ is available in magnum. We source grapes for ‘Les Coteaux Schisteux’ (‘slopes of schiste’) from one single vineyard, an east-facing slope high in the rugged mountainous terroir of Séguret in the southern Rhône valley. Here some of the vines are fifty years old, some even older, and their low yields suit a long cuvaison followed by patient maturation for up to 22 months in French oak barrels (228l) and demi-muids (6,000l). We recently re-tasted the 2012 vintage of ‘Les Coteaux Schisteux’ in Jeroboam, which is ageing gracefully with intoxicating aromas of intensely ripe fruit (figs and plums) married to subtly-integrated oak. 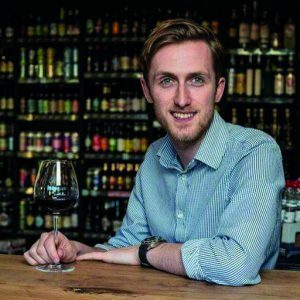 Sam Johnson I come from one of the world’s great wine cities… Preston, and now I work in Boutinot’s marketing team. Outside of wine, I'm enthusiastic about almost everything else, except mushrooms - I hate mushrooms.